I'm an intermediate WordPress user particularly interested in creating multilingual websites with WordPress. I run about 20 WordPress sites, in up to five languages, using multisite hosted by the Pressjitsu and developed with assistance from Very Twisty. 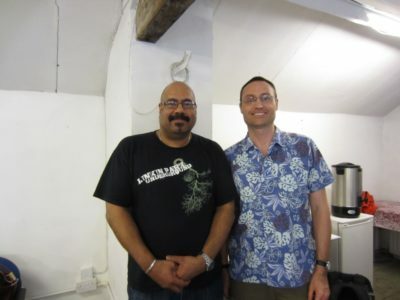 I have attended several WordPress courses given by Mike at MadLab in Manchester. I have spoken at WordCamp UK Lancaster 2013 about Going Global with WordPress. I have attended WordCamp Russia in Moscow twice. Interconnect IT built an automatic Twitter-Lego-Skittle dispenser at WordCamp UK 2012, which was activated by tweeting a hash tag. Great for geeks who are more interested in the Twitter integration that the Skittles, as you can see by the number uneaten Skittles lying in the collection tray!